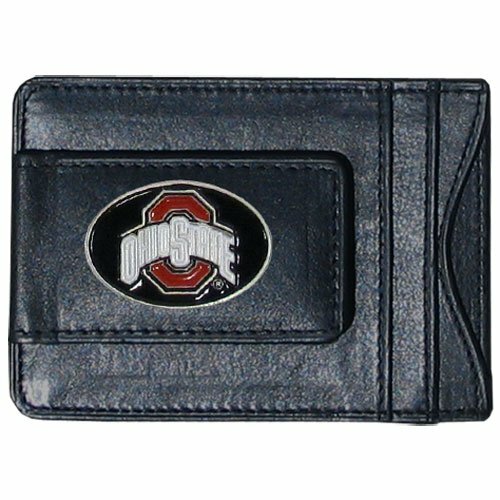 Our genuine leather Ohio St. Buckeyes money clip/cardholder is the perfect way to organize both your cash and cards while showing off your school spirit! Our Officially Licensed Business Card Holders make great gifts and are the perfect addition to any fanâs office. These USA Made products are manufactured using state of the art fiber laser technology and American Steel. All of our products are then powder coated in using your teamâs signature colors to provide a finish that is durable, beautiful, and that will last for years. 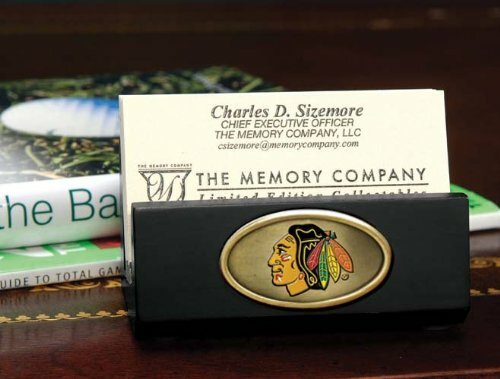 This handsome business card holder is accented with a solid brass medallion and enamel team logo- measures 1-75 inches tall and 3-5 inches. 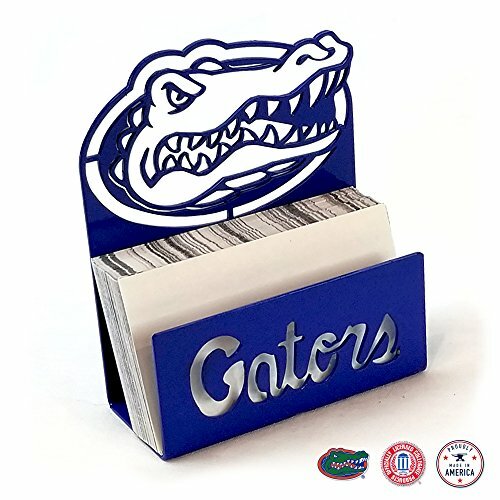 COL+-FL-565 NCAA Team: Florida Gators Features: -Painted enamel NCAA logo.-Solid brass medallion.-Functional and makes a great gift. Color/Finish: -Walnut finish. Think a caddy is just for the golf course? No duffer in plaid pants ever looked as good as this Mini Football Helmet Desk Caddy from Schutt Sports! 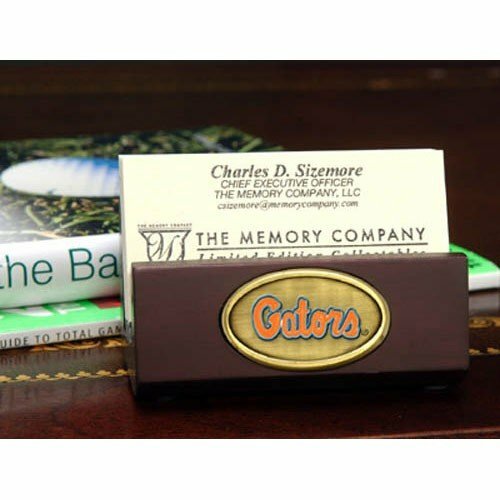 This cool but functional desk caddy holds business cards, pens, pencils and maybe even a golf ball or two. 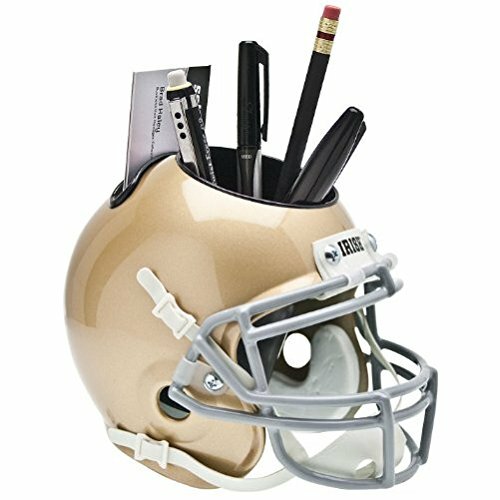 Made with the same craftsmanship as the Schutt Authentic Mini Helmets, the Desk Caddy features a real metal facemask and authentic NCAA school logos and graphics.Buy with confidence!!! All domestic and international shipments include tracking information and are fully insured at no additional cost to you! An email containing the UPS/USPS tracking information is automatically sent to you once your order has shipped.This item comes with a 30-day money back guarantee! If you are not 100% satisfied with your purchase for any reason, we will refund your payment. 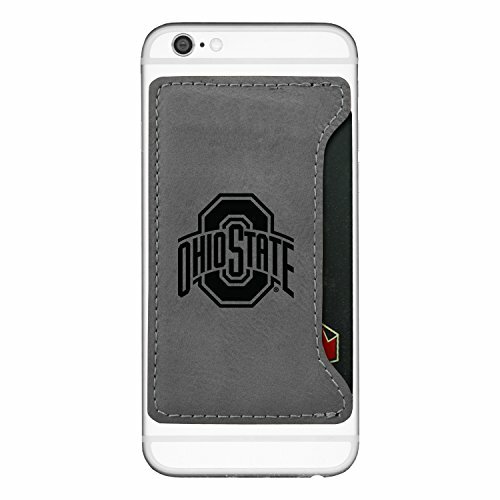 Our Ohio State University Velour Cell Phone Card Holder is designed to adhere to the back of any cellphone and is laser etched with your schools officially licensed logo. 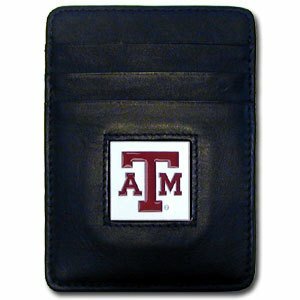 The Velour material engraves with a classy etched logo to give the holder a modern look. The holder is soft to touch and has the sturdiness to hold all of your cards. Take your school spirit with you wherever you go! 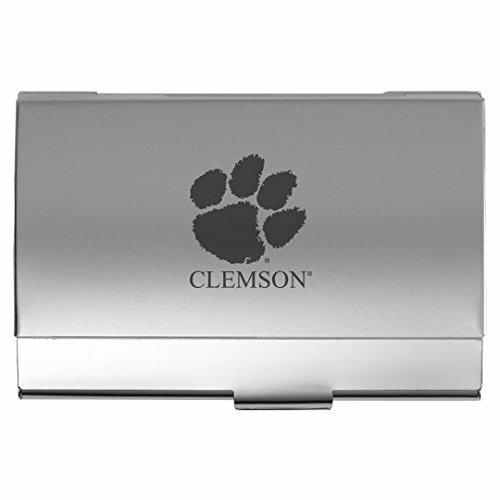 Our Clemson University Two-Tone Business Card Holder proudly displays your school spirit. This item is laser etched in the US to ensure a high quality and durable logo. 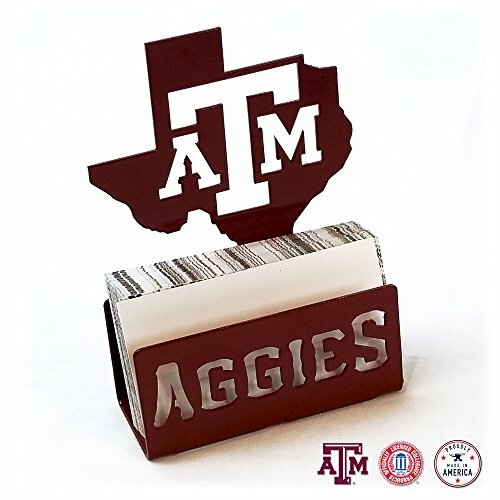 Our Texas A & M Aggies Executive college Money Clip/Card Holders won't make you choose between paper or plastic because they stow both easily. Features our sculpted and enameled school logo on black leather. Check out our entire line of wholesale leather checkbooks!